Slides were rapidly yet precisely loaded and unloaded onto the stage. Prior Scientific worked closely with the end user to seamlessly integrate the robotic loader into their automated image acquisition software. Fluorescence capability was built into both systems to allow for the detection of labelled particles. 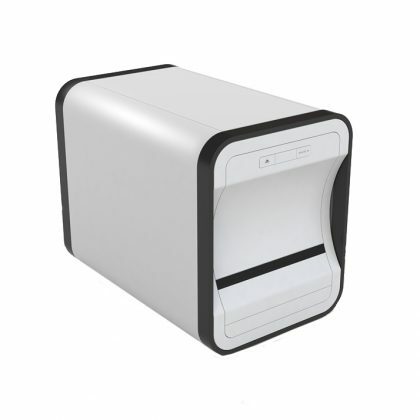 The system was designed to be as automated as possible, with automatic sample loading and washing, saving valuable researcher time. As demand for these units was elastic, Prior Scientific liaised closely with the customer to deliver the necessary units on time without burdening the customer with excess stock, regardless of the quantities required. By understanding the customer's application and precise requirements, Prior is able to offer the same quality of imaging as some major microscope manufacturers. 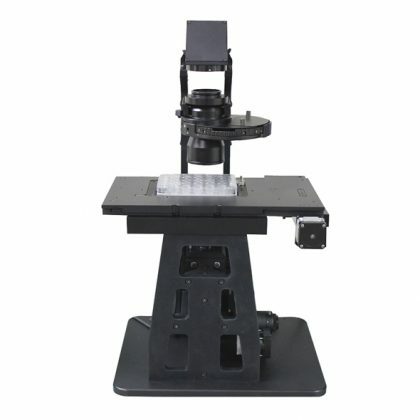 One of our customized inverted microscope systems has XYZ automated precision positioning and an integrated six position filter wheel, in addition to high quality illumination and optics. 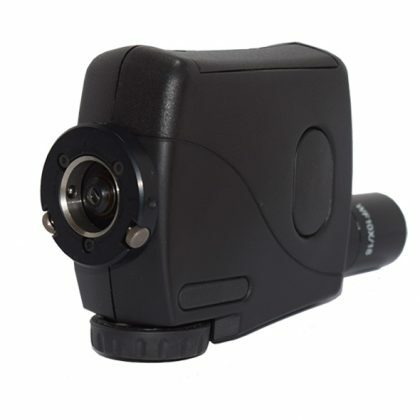 Prior’s engineers created an easy to use handheld microscope, customized to meet the customer’s exact needs. Considerable numbers were manufactured to meet the high levels of customer demand. 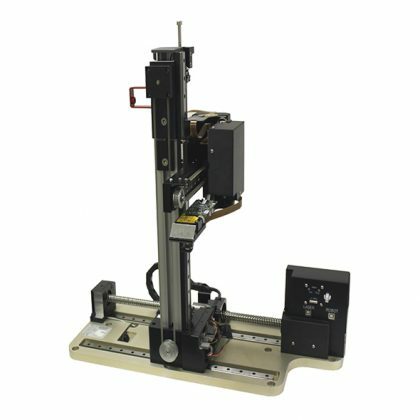 Built by Prior Scientific for a scientific instrumentation company, this system includes a precision motorized XY positioning stage, a Z focus, and a two position automated nosepiece, in addition to 4 channel LED illumination and a camera. 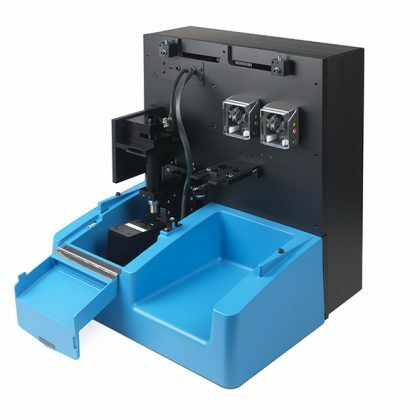 Our customer obtained an entire ready to use precision instrument designed to their specifications and manufactured in quantities to meet their needs. 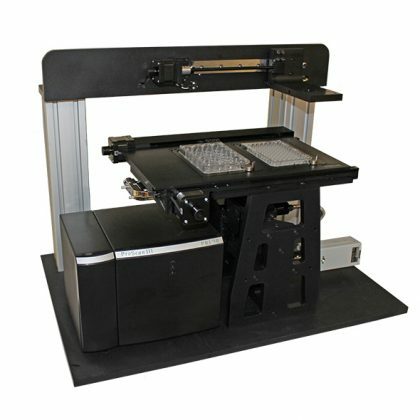 A gantry axis was constructed to allow the easy and rapid transfer of samples, thereby increasing the image acquisition rate.